Good morning and happy Monday! I hope you all had a nice Easter. Ours was a bit odd - spent in the car mostly - but we arrived in Oklahoma in time to have a nice Easter dinner with my father-in-law. The kids got their Easter baskets in our camper in the morning in Arkansas! With all the work of packing up last week, then 3 1/2 days of driving, my husband and I haven't had much reading time (I get sick if I read in the car), but between being sick all last week and having 8 hours a day on the road, my oldest son has been reading non-stop! I am still reading Cutting for Stone by Abraham Verghese. It's a hefty one! It's different than I expected, but I am engaged by the story now and enjoying it. My husband, Ken, is still reading Eyes of the Innocent by Brad Parks, from our library. This is the thriller that's been compared in style to Janet Evanovich, so he's enjoying it very much. Jamie, 16, has been on a reading marathon, reading about a book a day! While sick last week, he read three books in the series by Orson Scott Card: Ender's Game, Speaker for the Dead, and Xenocide. Still sick, Jamie decided to take a break from the Ender's Game series and comfort himself with some old favorites from the Redwall series by Brian Jacques. I haven't tried to keep track of the titles, but I think he's now on his 4th Redwall book since we left home! It's probably the third time he's read most of these. He says he has two more that he brought along with him before he resumes newer books. We've all been listening to Sapphique by Catherine Fisher in the car. Last spring break, we listened to the first book in the series, Incarceron, on our way to Louisiana and loved it! The sequel is excellent so far. Last night, we began reading the book from Craig's Easter basket together, 100 Cupboards by N.D. Wilson, a middle-grade novel about kids finding alternate worlds through cupboards in their attic. We've just started it, but it sounds intriguing. Last week, I posted reviews of The Forgotten Garden by Kate Morton and a middle-grade novel, The Kind of Friends We Used to Be by Frances O'Roark Dowell at Great Books for Kids and Teens. I also posted a preview clip for the movie adaptation of The Help - I can't wait to see it! 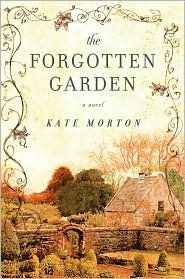 My book group met last week to discuss The Forgotten Garden, a novel by Kate Morton. When I first picked up my copy from the library and saw the title and the cover picture, of a classic English garden, I worried that I wouldn’t like it very much – sounded sort of boring to me. So, when I opened up this more than 500-page novel and started to read, I was pleasantly surprised to find that I was almost immediately swept up into an exciting story. The Forgotten Garden is part-mystery and part-family epic, spanning several generations in both England and Australia. It begins in 1913 with an unknown and very young girl alone on a ship bound for Australia. The dockmaster finds her after the ship gets to its port, with no sign of who she belongs to, so he and his wife adopt her. The only clue to her identity is a beautiful book of fairy tales she carries with her in a tiny suitcase. Right away, mysteries and secrets abound. Who is the girl? How did she come to be on this ship by herself? What will become of her? From there, the novel moves back and forth between the girl’s (and then woman’s) life as she grows up and has her own family; the earlier 1900’s following the author of the fairy tale book; 1975 when, as an older woman, she returns to England to search for her roots; and her granddaughter in the present day, trying to unravel her grandmother’s secrets. If that sounds confusing, well…it is at times but well worth it, as the mysteries in the book come to light a bit at a time, and the reader tries to piece together the whole story from each of the character’s perspectives. It’s a clever and engaging way to tell this multi-generational story that shows how an action made in the past can continue to effect family members for many, many years into the future. The novel also weaves the fairy tales found with the little girl into the story, with their actions and characters offering clues to its author and her connection with the lost girl. Everyone in my book group enjoyed this unique novel that features many unexpected twists and turns. I am definitely interested in reading Kate Morton’s first novel, The House at Riverton. I have two boys home sick today. Just a flare-up of their chronic illness, the result of too much fun this weekend. Jamie went to his prom Friday night and stayed out until 2 am, and Craig had a sleepover at a friend's house Saturday night. Hopefully, they will both recover quickly. I finished The Forgotten Garden by Kate Morton but not in time for my book group! That was OK since I was almost finished and had already figured out the ending. Everyone in my book group loved this novel that is part mystery and part family epic. Next, I finished a book I'd started last week and had to set aside to read my book group book: The Kind of Friends We Used To Be, a middle-grade novel by Frances O'Roark Dowell. I enjoyed this book very much, even though it's a sequel and I hadn't read the first book, The Secret Language of Girls. Now, I am reading Cutting for Stone by Abraham Verghese. This one has been sitting on my shelf for awhile, and I thought it would be a good one to bring along for spring break, since it's so long. I'm finding it a bit slow to start, but I've heard so many great things about this novel, I'm sure it will pick up soon. On my iPod, I am listening to Blood, Bones and Butter: The Inadvertent Education of a Reluctant Chef by Gabrielle Hamilton. I'd heard a wonderful review of this memoir on my favorite podcast, Books on the Nightstand. It's excellent so far. My husband, Ken, finished Unbroken by Laura Hillenbrand and enjoyed it. He says he learned a lot about Japan's role in World War II (me, too). I grabbed some more books for Ken off the new release shelf at the library, plus a stack of used paperbacks they were selling. He's now reading one of the new releases, Eyes of the Innocent by Brad Parks. The inside flap describes it as "an engaging mix between Harlan Coben and Janet Evanovich" and Ken agrees. We're both Stephanie Plum fans, and Ken says he sees why this new thriller author is being compared to Janet Evanovich. Jamie, 16, is continuing his Orson Scott Card marathon. He finished reading Ender's Shadow, and we were both excited to hear that there is a parallel series about Bean with three more books, so I requested the next one from the library for him. Meanwhile, he reread Ender's Game and is now moving onto the rest of the series. He's on the couch reading Speaker for the Dead now. Jamie is also reading The Scarlet Letter for his American Lit class. Craig, 13, is still reading Tom Sawyer for his English class, but - miracle of miracles - this morning he decided to read a book just for fun! It's been a while since he's done that, so I am thrilled. He said he was in the mood for a mystery like The Hardy Boys, so of course, I jumped up and found him a half dozen choices (I've been waiting years for him to ask me for reading suggestions!). He has settled on The Slave-Girl From Jerusalem, from The Roman Mysteries series by Caroline Lawrence. Since these wonderful books are like Nancy Drew and the Hardy Boys in ancient Rome, I've been trying to get him to try them for years. Though he's fallen asleep in the recliner right now (again! ), I know he'll enjoy this book. 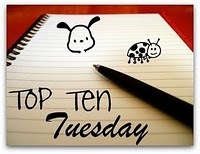 I didn't have a chance to post any reviews last week, but I did have fun putting together two lists of Top Ten Books I'd Like to See Made Into Movies, both here and at Great Books for Kids and Teens. Janet Evanovich’s Stephanie Plum books – this is sort of a cheat because I heard these are already being made into a movie, but they’ve cast Katherine Heigl in the lead role. I just don’t see it and still want to see the movie made with Sandra Bullock as Stephanie and Queen Latifah as Lula – wouldn’t they be perfect? Replay by Ken Grimwood – my all-time favorite book would make a great movie! China Run by David Ball – this out-of-print novel about being on the run in China with an adopted baby would make an excellent thriller. The House at Sugar Beach by Helene Cooper – a memoir, not a novel, but it would make a terrific movie – part thriller, part biography – set in both Liberia and the US. The Space Between Us by Thrity Umrigar – the setting in India would be fabulous, alternating between the Slumdog Millionaire-type slums and the upper-middle class homes. The People of the Book by Geraldine Brooks – would make an amazing, Oscar-worthy epic movie. The Heretic’s Daughter by Kathleen Kent – about the Salem witch trials could be a chilling drama. The Red Leather Diary by Lily Koppel – a nonfiction book but it would make a good movie, switching back and forth between the 80-year old woman now and her life as a young girl. Any novel by Nevada Barr (like Blind Descent) – I love her mysteries set in National Parks – the visuals would be awesome in a movie! Still Alice by Lisa Genova – would make a great tear-jerker! How about you? What books would you like to see made into movies? Monday already? Where did the weekend go? I wasn't quite ready for it to end. I spent much of the weekend planning our spring break road trip (to Oklahoma to visit my father-in-law) and our big summer trip (to California). I want to keep thinking about vacations, but it's time to get back to work now. I realized early last week that I have a book group coming up this week, and I didn't even have the book yet! How do I keep getting into these messes? You'd think I'd learn. 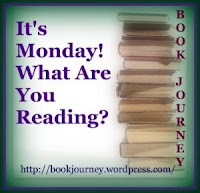 So, I made a trip to the library and have been reading The Forgotten Garden by Kate Morgan. This is a book that did not sound at all like my cup of tea, but I am really enjoying it - that's the beauty of book groups. I still have hundreds of pages to finish before Wednesday, so wish me luck! I finished my latest audio book, Always Looking Up: Adventures of an Incurable Optimist by Michael J. Fox, and immediately wrote a review - a rare accomplishment for me, so that gives you an idea of how inspired I was! My husband, Ken, finished The Ascent by Ronald Malfi, a pick from the recent release shelf at the library. It's about a climb up the mountains of Nepal that turns dangerous...with an element of mysticism. Ken said it was unusual, but he enjoyed it. Ken is now reading Unbroken by Laura Hillenbrand - he's been waiting for me to finish it so he could read it. He must be enjoying it because he took it with him on a trip this morning, and he usually avoids traveling with large hardcovers! 16-year old Jamie finished Beyonders: A World Without Heroes by Brandon Mull, a new series from a favorite author (author of the Fablehaven books). He said it was great, just as good as the Fablehaven series. Jamie and I recently read (and loved) Orson Scott Card's newest teen/YA book, Pathfinder. That put him in the mood for more Card. He only recently found out that there is an entire series that follows Ender's Game (and we have them all here), so he decided to reread Ender's Game and then read the other three books. Only one problem - we couldn't find Ender's Game last night, so he decided to read Ender's Shadow, a parallel novel to Ender's Game (and very good! ), instead. Craig, 13, is still reading Tom Sawyer by Mark Twain for his English class and enjoying it very much. He's alternating between reading it and listening to it at a free online site. Besides my review of Always Looking Up, I also posted a summary of Books Read in March and a review of the teen thriller The Chaos (sequel to Num8ers) by Rachel Ward at Great Books for Kids and Teens. When Michael J. Fox’s voice broadcast out of my iPod saying, “This has been a Hyperion Audio production…,” I called out, “No! It’s over?” I loved Michael J. Fox’s second memoir, Always Looking Up: The Adventures of an Incurable Optimist, and never wanted it to end. His first memoir, Lucky Man, detailed his experiences with Parkinson’s disease – his first symptoms, his long period of denial and struggles with alcohol, and his eventual diagnosis and acceptance. I have a special interest in Fox’s experiences because my mother-in-law recently died of Parkinson’s disease. She and I both enjoyed and appreciated Lucky Man. In addition, both of my sons and I are living with a chronic illness, so I feel some connection with Fox’s experiences with denial, diagnosis, treatment, and acceptance. This book, however, is about so much more than chronic illness. Certainly, his Parkinson’s is like an extra character in the memoir, always present, but it is by no means the main character. I was attracted immediately by the title of the book because I would describe myself as an incurable optimist also. This memoir is a collection of stories from Fox’s life, loosely bound together by his positive life view. I often found myself either laughing out loud or tearing up as I listened to this audio read by the author (since I listened to much of it while walking around my neighborhood, my neighbors probably think I’m nuts by now). I wasn’t moved to tears by sad tales of life with chronic illness but by Fox’s ability to find universal truths in his own experiences. You don’t need to be ill to relate to what he writes about: family, marriage, being a parent, and losing someone you love. Of course, there are elements of his celebrity – it is, after all, an integral part of his life – that add a fun peek into the lifestyles of the famous: his experiences filming Spin City, rubbing elbows with the rich and powerful, and a hilarious recounting of watching the Tour de France with his friend, Robin Williams. But there is just as much, if not more, time devoted to every day life, describing road trips with his family, the amazing miracle of watching children grow up, and his own search for spirituality. So much of what Fox said resonated with me. As much as I enjoyed hearing the book read by the author (he is, after all, an actor, and does a marvelous job), there were many times when I wished I had a hard copy of the book as well so that I could re-read and write down some of his quotes. In any format, Always Looking Up is an inspiring and uplifting book. NOTE: Some of the book is political, as Fox describes his activism over the issue of stem cell research (obviously, he is for it). If this is something that offends you, consider yourself forewarned. Wow, the first quarter of 2011 is already over. I'm still writing 2010 on my checks. As you can see by the links above, I did much better this month at keeping up with reviews, so that's progress! I read a nice mix this month: 1 adult novel, 2 adult nonfiction books (one a memoir), and 2 teen/YA novels. Two of my five books were audios. My favorite book of the month? Do I have to choose? It's a pretty tight contest between Pathfinder and Unbroken, so how about if I choose 1 favorite fiction book and 1 favorite nonfiction. All in all, a good month for books. What was your favorite book read in March? I finished Unbroken by Laura Hillenbrand, an intense and compelling story of an Olympic runner who lived through unbelievable ordeals as a Japanese POW during WWII. A stunning story, both in its content and the way it's written. It's been a while since I've read a kid or teen book, so after finishing Unbroken, I picked up a teen/YA book I've been dying to read: The Chaos by Rachel Ward, sequel to Num8ers, which I loved. This is a fast-paced thriller about a boy who can see the date a person will die when he looks in their eyes, set 15 years in the future in London. Book 2 lived up to my expectations - I could hardy set it down this weekend! I just finished it at bedtime last night, and I haven't chosen my next book yet, but I know I have to get moving on my book group book for next week...as soon as I get it from the library (oops). I'm listening to Always Looking Up: The Adventures of an Incurable Optimist by Michael J. Fox on my iPod and absolutely loving it so far. His first memoir, Lucky Man, was fabulous, and I knew I'd like this one, too. He's funny and smart and very inspirational. My husband, Ken, finished a new sci fi release we found at the library, Leviathans of Jupiter by Ben Bova, and enjoyed it. Ken has moved onto another library find from the new release shelf, The Ascent by Ronald Malfi, an adventure novel about a trip up into the mountains of Nepal that turns dangerous. It sounds like it has some elements of mysticism in it. Anyone else familiar with this author? Jamie, 16, is reading Beyonders: A World Without Heroes by Brandon Mull, a new series from a favorite author (author of the Fablehaven books). Last week's BookPage newsletter featured a review of The Beyonders and an interview with the author. Jamie is also reading The Red Badge of Courage for his American Literature class. When my husband asked him about it yesterday, he said with surprise, "You know? It's actually pretty good!" Craig, 13, is reading Tom Sawyer by Mark Twain for his English class and enjoying it very much. What's not to like? He's alternating between reading it and listening to it at a free online site. Last week, I posted reviews of 365 Thank Yous, a memoir I really enjoyed, and a fabulous new teen/YA novel, Pathfinder, by Orson Scott Card, one of my favorite authors, at Great Books for Kids and Teens. My son is reading Tom Sawyer for his 7th grade English class, and his teacher told the class they could also listen to it on audio and gave them the web address for Free Classic Audio Books. This site is so cool! Just as the name suggests, it includes a bunch of audios of classic books, available for free (notice there are multiple pages). Thanks for the tip, Mrs. Hall!